Rebecca is in India, and the kids are off to Ithaca, New York, for most of the week. 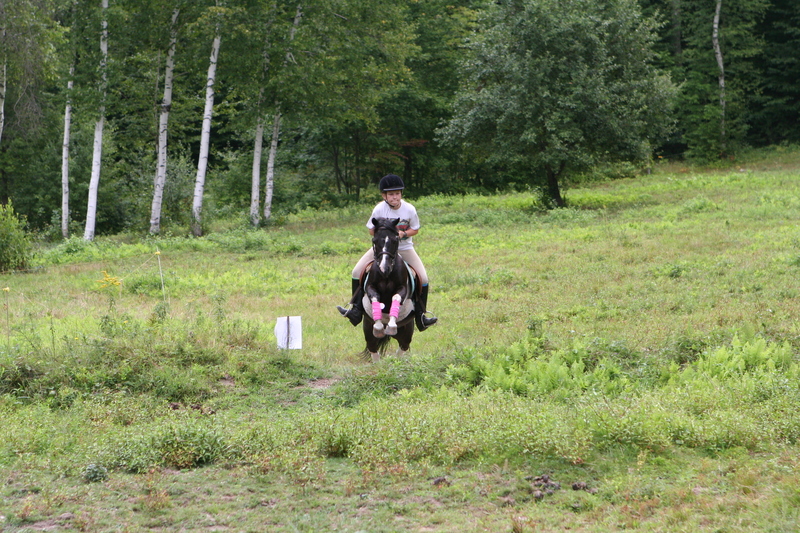 But not before Ellinore and Sophie spent three days at Debbie Hardy’s “Eventing Camp.” There was a dressage test, jumping and a fun cross-country course through the field, orchard and woods. It is a delight to watch Debbie and Ellinore together. 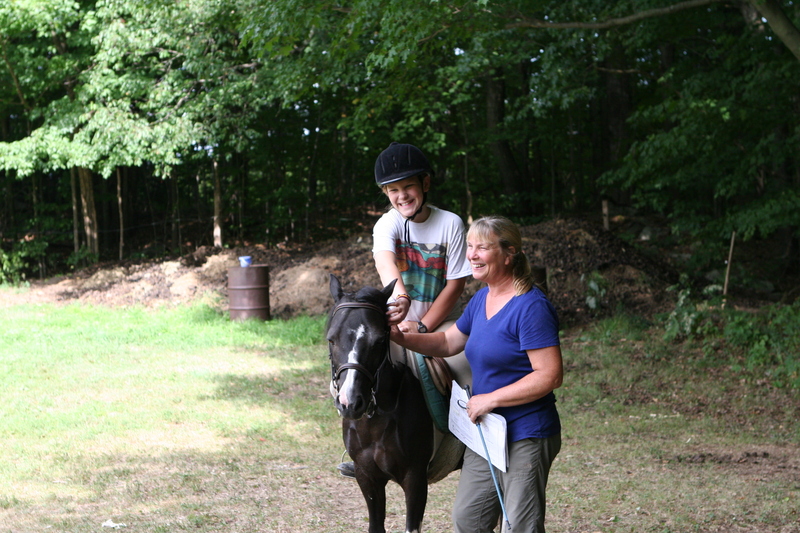 E has been riding with Debbie for more than five years, if memory serves, and they have a lot of fun together. The kids painted jumps and built a trough in the field (that Anna balked going over more than once). The riders were judged and points were tallied. 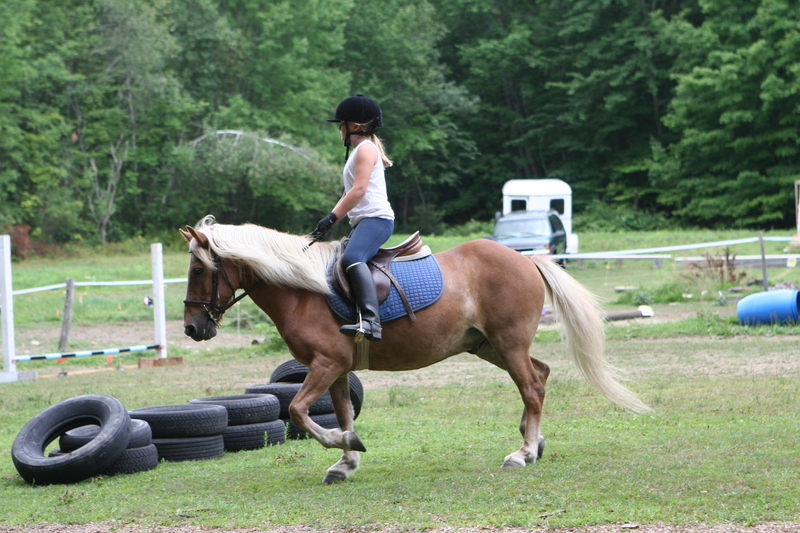 And when Ellinore came home from the all-day camp she hopped on Reme and went for a ride. 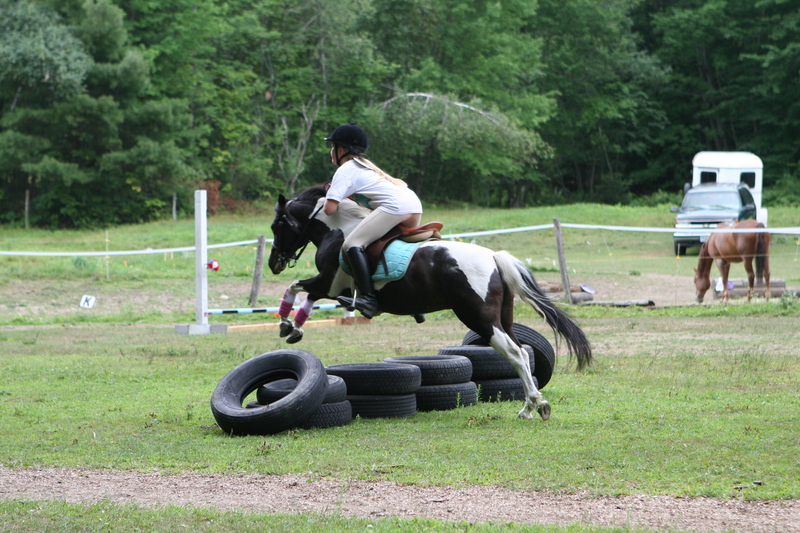 One Response to "Eventing Camp"
Congratulations to Ellinore and Remy for impressive placings and the award. And Nathaniel – you look impressive on your new trampoline. Summer looks like fun in NH. We enjoyed hearing about your fair going and event camp with Debbie. And Rebecca is again in India? Why? And what are the kids doing in Ithaca? Catch us up.